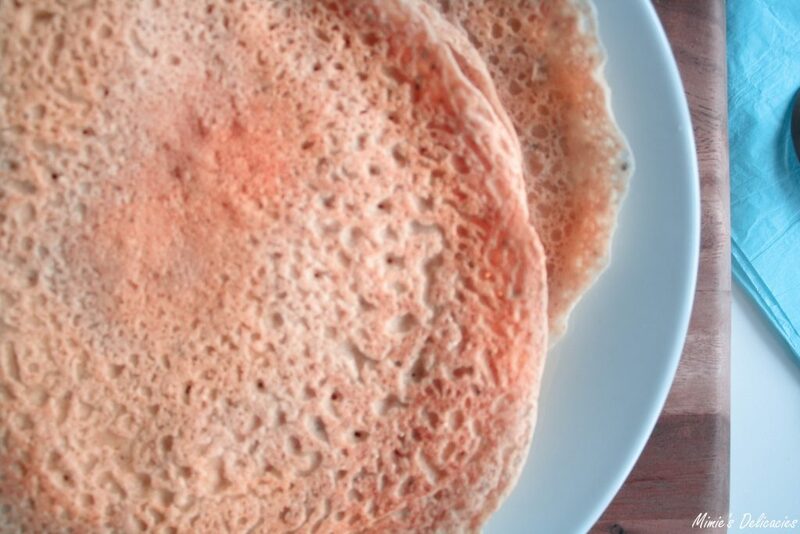 Rice flour is my favourite gluten-free flour it brings some natural sweetness to my preparations. I use it in all sorts of bakes, from cakes to biscuits and those delicious Vegan & Gluten-Free Crêpes. Don’t omit the touch of vanilla it really makes a difference here, so subtle and yet so delicious. I have not used the chia seeds shown in the picture as I realised it made the batter quite lumpy and grainy. It was very smooth without which is the end result I wanted. I have paired mine with some homemade mixed-berry jam and a dollop of coconut whipped-cream (my new addiction). And finally, the secret to a light and soft crêpe -> sparkling water! 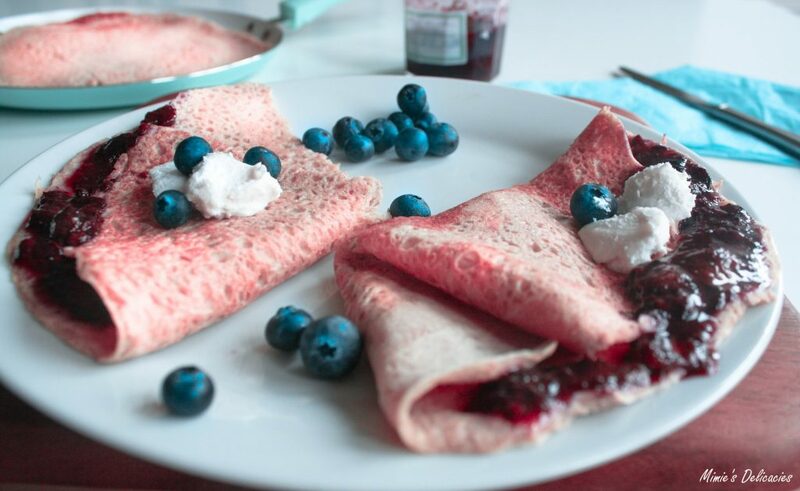 I hope you try and like these these Vegan & Gluten-Free Crêpes, if so let me know! Share on Pinterest and tag a photo on Instagram #mimies_delicacies so that I can see your lovely creations as well as helping me reach more of you lovely people. Merci my friends! 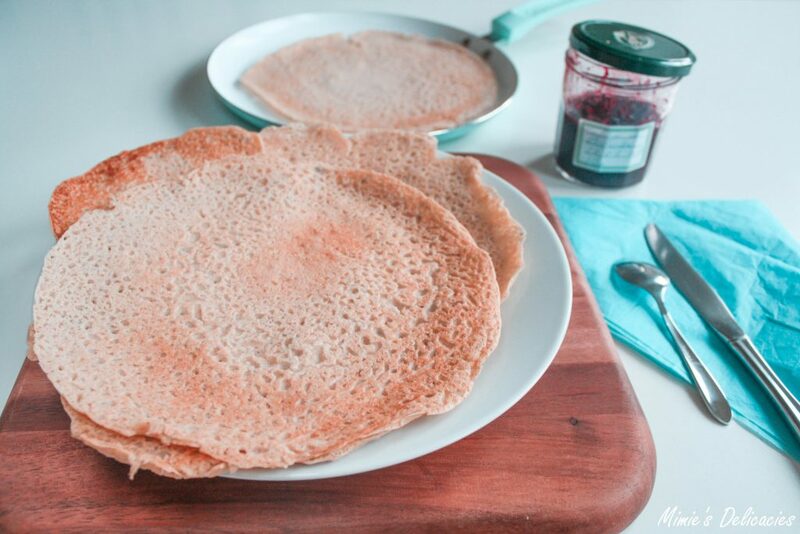 Vegan and Gluten-Free Crêpes perfect for Shrove Tuesday with a secret ingredient to make them extra light! 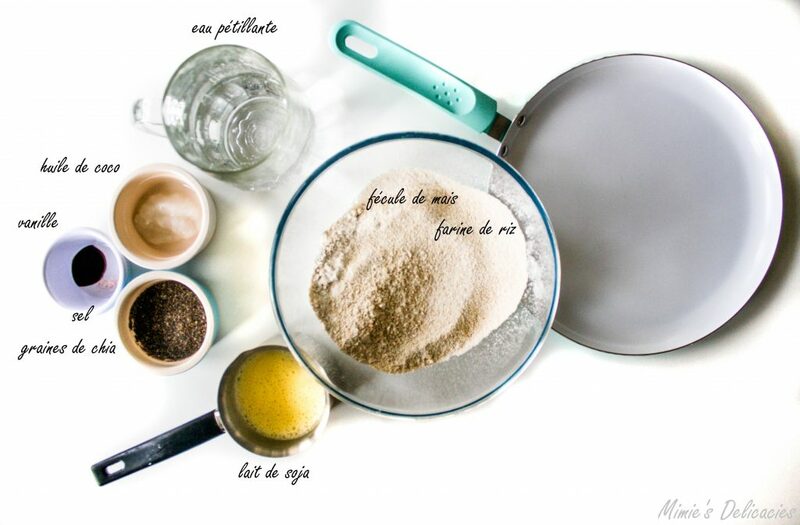 In a large bowl, mix together the rice flour, cornflour, sugar and salt. Add the dairy-free milk and sparkling water and stir. Next add the vanilla extract and coconut oil, keep stirring until the batter is completely smooth. Grease your pan and get it really hot before turning the heat down slightly. Garnish with your favourite toppings, fruits, vegan nutella, or cinnamon … The options are infinite!